I was this morning.... about the sanctity of marriage and the appropriate gifts for celebrating. As I sat in my taxi, I browsed through the news headlines and saw this BBC news that asked, 'what do you give to your partner to celebrate 70 years of marriage?' The very first question that popped in my head was 'No be two of us marry? why should I give my partner a gift?' Feeling a bit ashamed that I am thinking like a typical African, I put my hand in the basket of my thoughts again to try and bring out a fitting gift for a platinum wedding anniversary, but I couldn't help but reflect on the more important question of what is it that keeps a couple together for 70 years in a world where couples divorce because of toothpaste, tomato paste or even peanut butter paste? 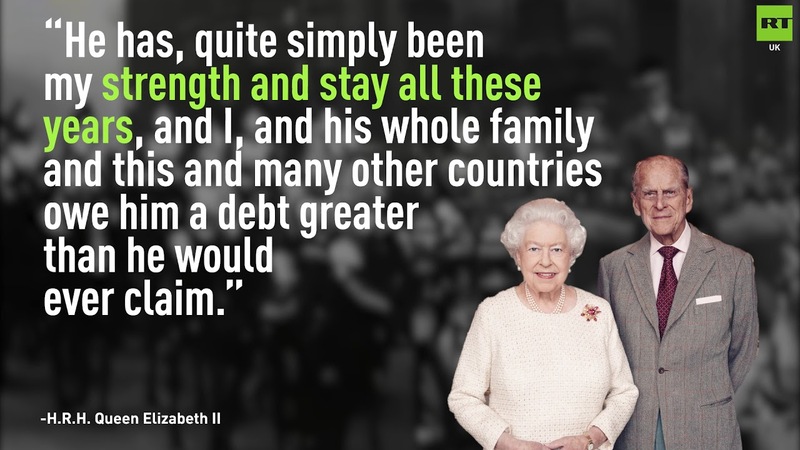 This was my thought as Queen Elizabeth and her husband Prince Philip marked their platinum wedding anniversary last Monday. The couple got married at Westminster Abbey November 20 1947, and 70 years on, Elizabeth (91) and Philip (96) are not tired of each other. What are they doing that modern day celebrities are missing? I have heard some seniors advise the youths to watch the family they are marrying into. They say if the parents are divorced, then 'e dey the family.' Has divorce become a contagious or hereditary disease? 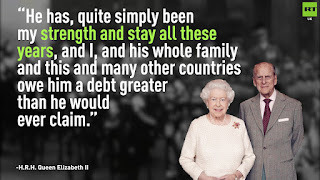 To show the futility of that thinking, do you know that while the marriage of Queen Elizabeth and Prince Philip has remained strong, three of their four children have seen their unions end in divorce? Most notable is heir Prince Charles's ill-fated union with his late wife Princess Diana. Please don't tell me the children need deliverance. I am thinking, though my marriage is still a long way from 70 years, what can I learn from this power couple? While Prince William says the secret is them being comfortable in each other presence, others say it is their shared sense of humor (SSOH). The Queen herself says, 'He has, quite simply been my strength and stay all these years,' and Prince Philip says, 'You can take it from me, the Queen has the quality of tolerance in abundance.' Hmm!!! While everyone in marriage will put forward different qualities that make their marriage work, to me it is a combination of the little things, the God factor, tolerance and the firm knowledge that, come rain or shine we are together, that makes the difference. Hence Romans 8:38 says, 'For I am persuaded that neither death, nor life, nor angels, nor principalities, nor powers, nor things present, nor things to come,' shall be able to separate us from the love of God. My prayer is that as our marriages take one step at a time towards 70 years, any principality that wants to ply it's trade on us will expire this year in Jesus name. Amen. I was thinking this morning...... about time and reality. Where I sat in my living room relaxing, shortly after arriving from a journey yesterday, and expecting no one at that time of the day, the door bell rang. 'Who can that be? Who are you expecting?' I had asked my wife. As we both paused the TV to go downstairs to attend to the visitor, I was wondering how anyone will be at my door without notice. When we eventually let the visitor in, it was my niece in-law. As she greeted me and we gave her a warm welcome, I couldn't help but think of how times have changed. This lady that is today in Law School in Lagos was only about 5 years old when she was our little bride 16 years ago. As I stared into oblivion, it dawned on me that time has made my reality and changed my priority. But wait, if time could make my reality and changed my priority, how come it didn't have the same effect on Mugabe? Robert Gabriel Mugabe was 56 years in 1980 when he became Prime Minister of Zimbabwe. He became President in 1987 at 63 and has been in power since then. Thirty years later and at the age of 93, Mugabe is still fighting for power like he did in 1980. He is imprisoned by his 1980 reality and therefore cannot change his priorities. How sad. If you take your mind back home, you will pick up a number of our politicians imprisoned in their past and still playing the politics they played in the eighties. Oh God, why hasn't time made their realities and changed their priorities? If you think about it deeply, you will realize that the sum of their individual imprisonment in the past has collectively imprisoned us as a nation preventing us from moving into our today. Hmm!!! As you get up to start another day, has time made your reality and changed your priority? I have always said that if you are blessed enough to be alive and strong at 70, you should immediately start reconciling with your God, if you had not done so and dedicate your life to service of God and man till your departure. Seventy to me is the milestone for change of priority because 1 Cor 13:11 says, 'When I was a child, I talked like a child, I thought like child, I reasoned like a child. When I became a man, I put the ways of childhood behind me.' Time is ticking, things are changing, please move from your past into today. I was thinking this morning.....about indigestion. 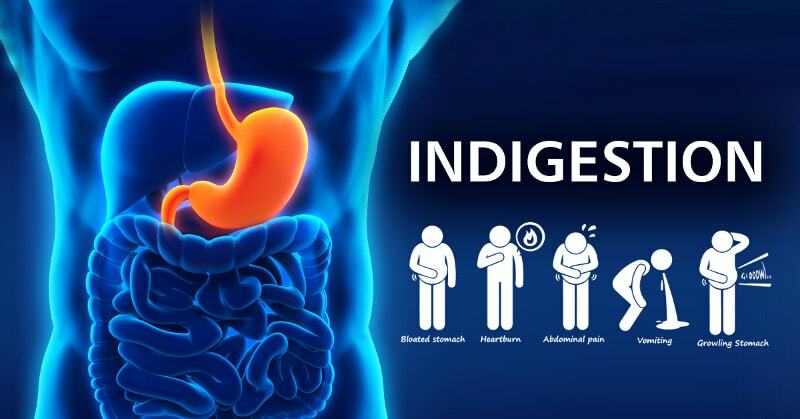 Whenever I think of indigestion (also called Dyspepsia), I imagine how uncomfortable it makes one feel, the heartburn, bloated stomach and pain. However, if you are pregnant or your wife is and suffering from indigestion, then go buy a set of comb because your baby will be very hairy. No, it is not 'fabu,' but true. A John Hopkins University study revealed that higher hormone levels like estrogen (thought to be a cause of indigestion during pregnancy) can contribute to more baby hair. Interesting, isn't it? At this point, I was like, 'how can a project be undigested again na?' But I now understand, you know that feeling that burns your heart (like heartburns) when you are watching your favourite programme on TV and there is power cut? yes, it is because the power projects were not digested. 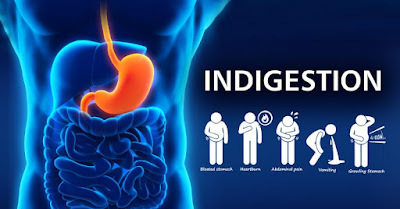 This heartburn does not compare to the sharp pain of 'indigestion' that one mother in Port Harcourt felt recently when her pre-term baby placed in an incubator in a government hospital suddenly died because power was cut for about three hours. Oh the pain of undigested power projects. And they are not alone. You turn on the TV or radio to listen to the local news and you hear the presenter announce the death of someone and then shockingly calls him or her 'diseased' instead of 'deceased.' Our graduates no longer know the difference between diseased and deceased. It's a crying shame, and it is because our educational programs are undigested, hence the pain and heartburn. Honestly, I have this feeling that the 2017 national budget was undigested as well because the impact is hardly visible, rather what we hear are stories of State house clinic without drugs. What happened to the budget for the clinic this year? It probably has not been digested. Now that the 2018 budget has been presented before the joint session of the National assembly, I beg of the operators of the economy to please allow the budget and projects to be digested so that we all can enjoy the benefits in 2018. In spite of the indigestion we suffer as a nation, the curse of 2nd Chronicles 21:15 is not our portion in Jesus name. 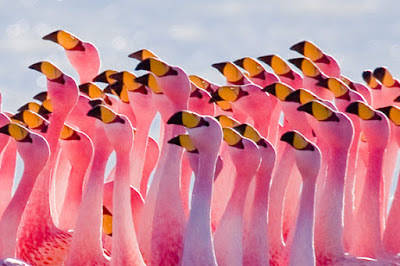 I was thinking this morning..... about flamboyance. I bet you did not know that a group of flamingos is called 'flamboyance,' just like a group of iguanas is called 'a mess.' While I am not interested in the mess caused by some Nigerians, the flamboyance of some became worthy of my thoughts today. Until recently, flamboyance meant showing off particularly in bright colours, but my scope was deepened when I read the article of one Tochukwu Ezukanma talking about what he called our 'pesky, exasperating albatross: tribalism.' He explained how some Nigerians had declared that their tribe was not only going to dominate Nigeria but that they will dominate Africa. He called it 'verbal flamboyance.' Hmm!!! As I dissected what he called verbal flamboyance, something tells me that it is either this guy lives outside of Nigeria or he has never been to Lagos nor use the public transportation called 'molue.' How could he have called the declaration by someone that his tribe will dominate Nigeria 'verbal flamboyance?' Like the Americans will say, he ain't seen verbal flamboyance until you ride in a molue or danfo in Lagos. With mouth wide open and at the top of their voice, in ten seconds, the bus conductors will reel out all the bus stops between Oshodin and Okokomaiko, shouting 'Oshodin o, Oshodin-Oke o.....' And if you are unfortunate to have an argument with one of them, he would've beaten you to pulp with his mouth, shouting 'ah, ah..' inbetween his threatenings but without raising a finger. Now, that is what I will call verbal flamboyance. Feeling satisfied that I have done justice to the term, I smiled and wondered if verbal flamboyance is not another term for boasting. Well, it is a known fact that Nigerians love showing off but it seems to be crossing the line of sanity. That was my thought when I saw photos from a wedding somewhere in Western Nigeria where camp gas (gas cylinder with burner) and large 4-wheeled suitcases were given to guests as souvenirs. Believe me, my concern was not that those bulky items were distributed, I was miffed to see these items displayed on top the small tables, occupying every available space at the reception venue. Now, that is 'souveniral flamboyance.' Don't bother checking the dictionary for 'souveniral,' because it is not there. My worry, like a Nairalander had expressed, is that soon they will start giving mattresses and dining tables/chairs as souvenirs. Okay, I can understand both verbal and souveniral flamboyance, but struggling to wrap my head around 'gestapoic flamboyance.' 'Kilon je be?' I read of a lady that donned camouflage t-shirt and trousers and was accosted by some soldiers. In a sane society, she will, worst case be warned about the implications and advised to go back home and take them off. But in my Naija, she was not only stripped naked in the public but was made to frog-jump and flogged. Now, that is 'gestapoic flamboyance' or exaggerated show of force. Only last Monday, the federal High Court in Calabar ordered the Nigeria Navy to pay the sum of N75m to a bricklayer for illegally shooting and torturing him for no reason. The navy men were 'gestapoically flamboyant.' Haba naija!! !